Your friend has been notified. House For rent in Belvidere Estate"
Rent this spacious sunny family home in Belvidere. Ideal home for 2 Families situated on a large property or to rent out for extra income. Downstairs consists of 2 bedrooms both en suite. There is an open plan kitchen with granite tops, and a dining and lounge area with double doors that lead into the spacious private garden. Upstairs consists of 2 bedrooms and a loft. 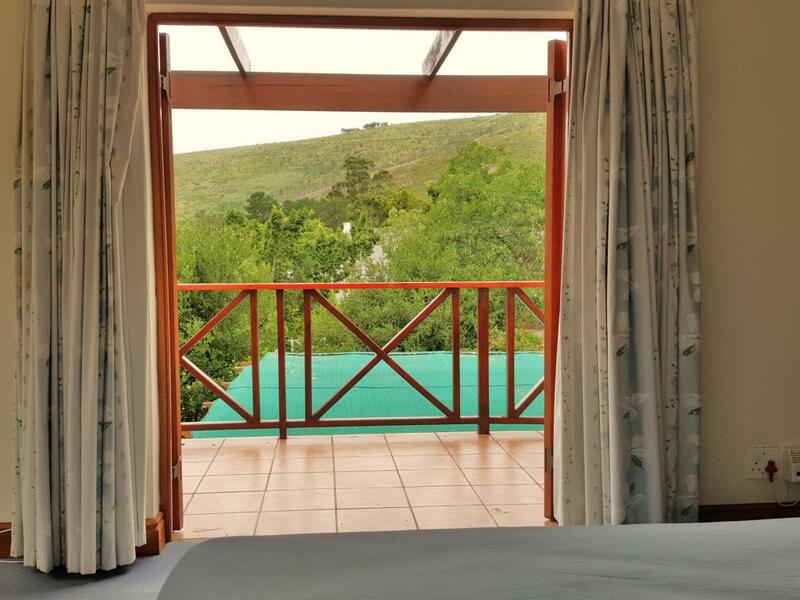 1 bedroom with full en-suite bathroom and walk in closet and a private balcony with stunning mountain views. Dining and lounge areas with wood burning fireplace for those cold winters. The kitchen is sunny and warm and has granite tops it leads onto a large private sunny deck with adjustable aluminium louver roof, there is a staircase that leads to the garden below. Underfloor heating throughout the home. Double remote garage with brick drive way, irrigation system, level property and situated on a greenbelt. This property is ideal for the nature and garden lover. Lots of bird life, bush buck and the occasional visit from the local bush pigs. Belvidere is a very sought after area close to the Knysna Lagoon. The Bell is a very popular Little Pub within walking distance from this property. Knysna is 15 minutes away from Belvidere with restaurants, shops and medical facilities.